Welcome our newest main squeeze to our ever evolving product line. 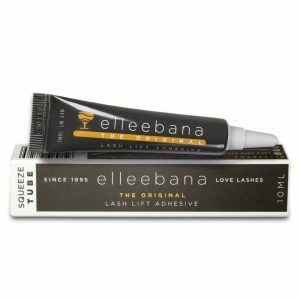 Elleebana’s Original Lash Lift adhesive is now available in a Squeeze Tube. What’s so special you say??? Well..
⚜️ You can dispense a small amount of adhesive into a glue ring or 2 in 1 mixing dish. Gives you the ability to work closer to your clients when using a glue ring. ⚜️Use only one micro brush per treatment, minimising the risk of cross contamination. ⚜️You can reseal the squeeze tube as soon as you dispense the required amount without continued air exposure. ⚜️ Larger 10ml Tube which allows for more applications. ⚜️ Reduce wastage! The squeeze tube reduces the chance of air being pushed in and oxidizing the adhesive, allowing you to get more product and applications and increase shelf life after opening. Team Elleebana attended the ESI Conference in Canada in April. 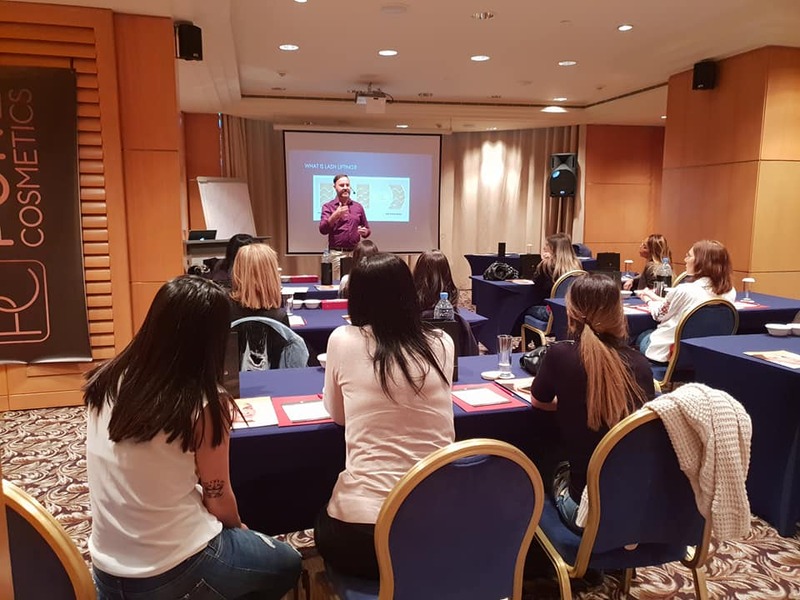 This saw a huge turnout for Otto’s Lash Lifting presentation on “The Secrets of Lash Lifting”. This presentation was so popular in fact, it brought a jammed packed room with only standing options available. 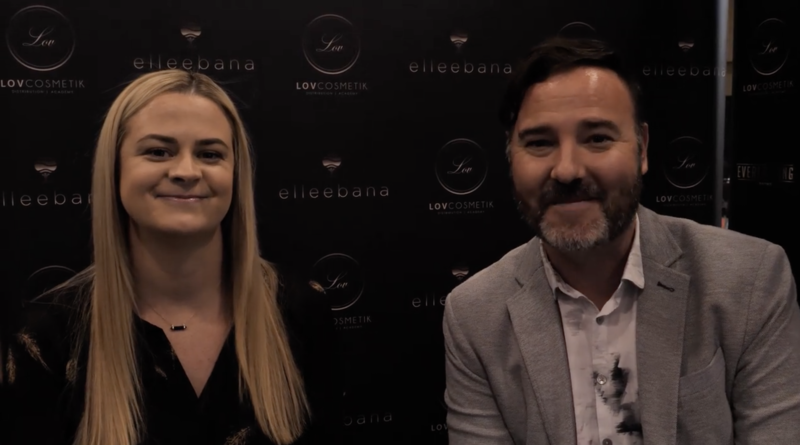 Elleebana Director Otto visited Prague in April, speaking and training at the League of Lash Masters. Otto was given the opportunity to educate attendees of the conference in 6 breakout sessions. There was such a wonderful and positive response with everyone flooding in to sit in on Otto’s first session. 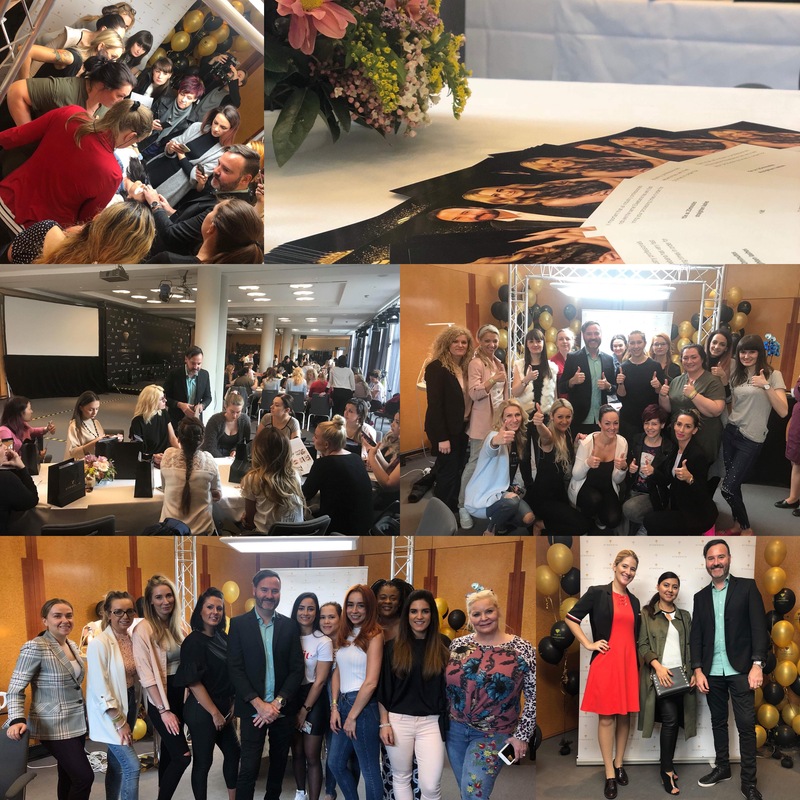 This incredible event saw Otto work alongside some of the most prestigious international lash guest speakers from all around the globe. 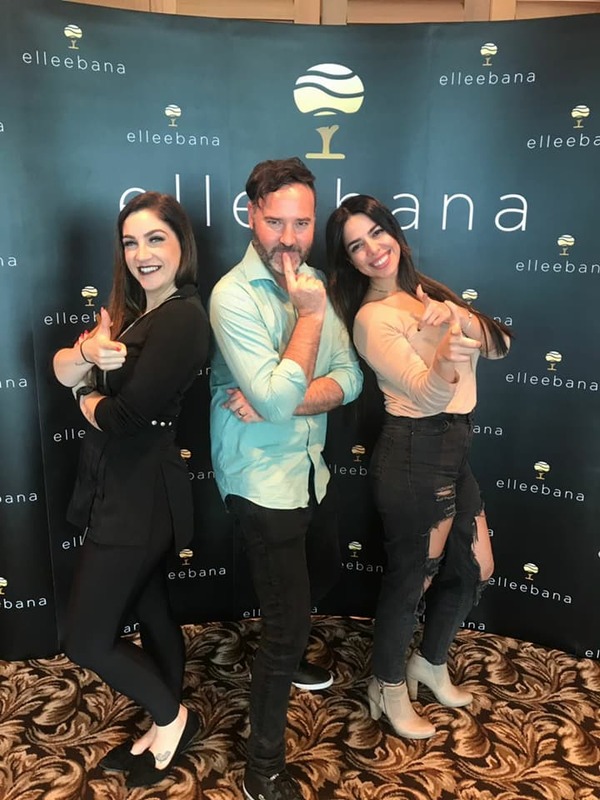 Elleebana touched down in Canada in April for our ever growing Elleevation Symposium. It was such a pleasure meeting all our talented Elleebana Canadian family, a big thank you to Lov Cosmetik for hosting this incredible event. Find out what we get up to at our incredible Symposium below. Introducing Elleebana Brow Henna. The revolution in natural eyebrow tinting. 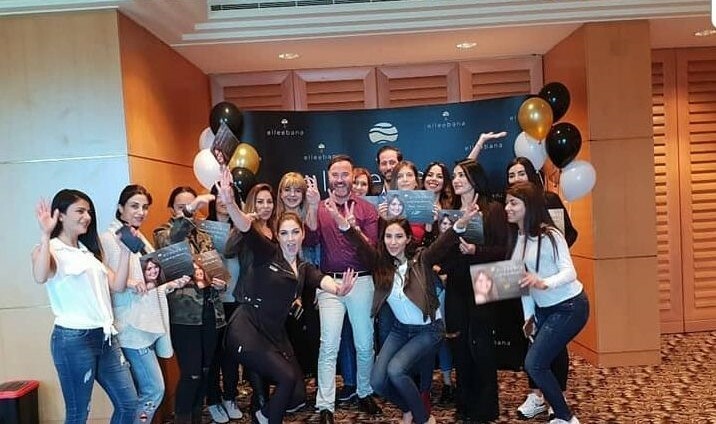 Team Elleebana took to the skies in early April, seeing Director Otto Mitter and Australian Master Trainer Jessica Eaton visiting Lebanon with booked out classes at Le Royal Hotel Beirut for Eyelash Lifting Perfection training and Lash Extension training. Thank you to the incredible Middle East family for hosting such a phenomenal event. 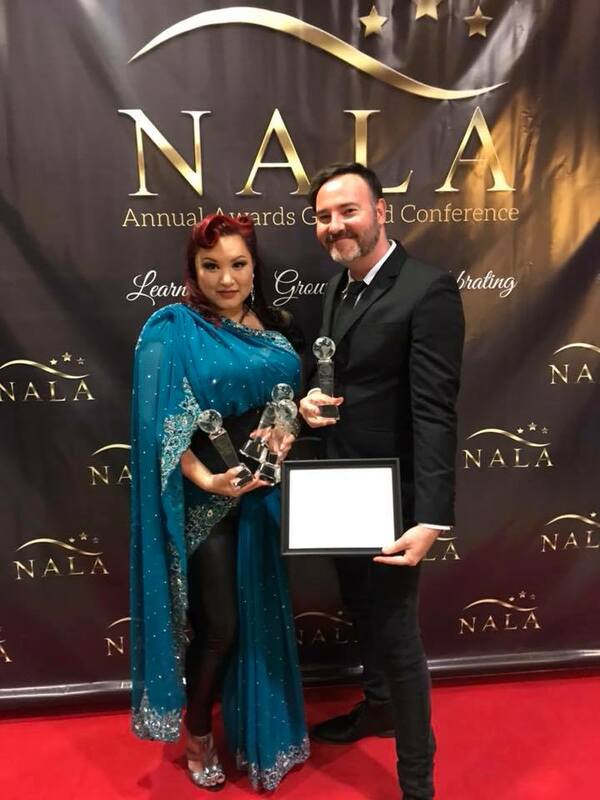 It is with great pleasure that we announce Otto has taken out the prestigious Award for Educator of the Year at the International NALA Global Lash Awards held in Canada in May 2018. This is a huge achievement and accomplishment for Otto with so many incredible entries and educators from all around the Globe. It is amazing for Otto to be recognised on an international scale among the industries elite for the passion in education he brings to the industry and is a massive testament to the hours and effort that goes into the training and education that we provide with the Elleebana brand both here on our home soil and on an international scale Globally. A huge congratulations to all the entrants and finalists, we thank you for all the love you all put in to making the lash and brow industry what is it today. With eyelash lifting becoming such a popular treatment we’ve had lot of people asking, what is the difference between eyelash lifting and eyelash extensions? Here is some helpful information that will take out some of the guess work for you. What is the difference between Eyelash Extensions and Eyelash Lifting? Both are designed to enhance and complement your natural beauty. Eyelash Extensions – Eyelash Extensions are a synthetic lash made from a high quality PTB (Polybutylene terephthalate) fibre, designed to mimic the natural lash. They are applied to your natural eyelash and come in a range of different lengths, curls and thicknesses and can be applied one by one (classic) or can be applied in multiple (volume) sets of 2D (2 lashes) up to 8D (8 lashes) enabling you to create anything from a natural look to quite dramatic. Eyelash Lifting – Eyelash lifting is an enhancing treatment on your natural lash. The treatment occurs when the natural lashes are lifted and set around a selected size silicone rod. Lifting and Setting lotions are applied during the treatment and an eyelash tint to finish, resulting in a lengthened, lifted, curled and darkened result. Eyelash Extensions – Eyelash extensions can see the initial treatment time vary pending if you are choosing to have classic set or volume set. Classic sets can take about 1.5-2hrs on average with Volume sets taking anywhere between 2-3hrs. Eyelash Lifting – Elleebana Eyelash Lift, including an eyelash tint can take as little as 30 – 45mins. Both treatments are designed to last the duration of the natural lash cycle which can last up to 90days. Eyelash Extension – An appointment for eyelash extensions is recommended every 2-3 weeks to infill the lashes that have grown out and fallen off. Eyelash Lifting – Eyelash lifting “re-lift” is recommended anywhere from 6-12 weeks pending on the client’s natural lash and growing cycles. Are either of these treatment’s uncomfortable to have done? No – if done correctly, you will not experience any pain from either treatment. Both treatments are done laying down and are the perfect excuse for some quite “you” time. Are either of the treatments damaging to my lashes? If done correctly by certified technicians neither treatment should not cause any damage or stress to your natural lashes. It’s safe to say each of these amazing lash enhancement treatments sit perfectly in the beauty market place and can both give you the luscious lashes you desire. The question is…. Which one do would you chose? To find out more about our Lash Lifting or Extension training courses please click below. “This article has been written by Kayla Zigic and produced for Ex-Import Niche Products. Modification, misuse, copying or reproduction of this content in any manner without written permission from Ex-Import Niche Products is prohibited and Copyright laws will apply. Sharing the link and giving credit to Ex-Import Niche Products for the content is allowed”. 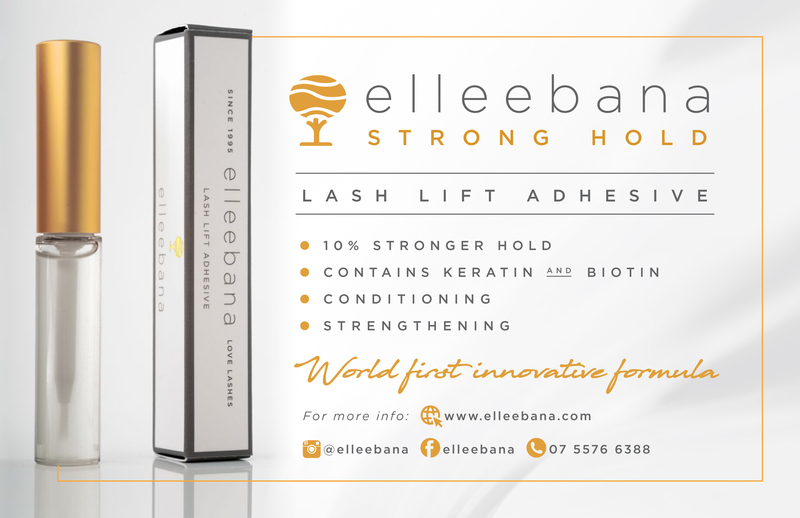 Introducing Elleebana Strong Hold – The revolutionary lash lift adhesive. A world first formulation, offering 10% stronger hold making the lifting process even faster and easier to keep the lashes adhered during the lifting process – no more pesky lashes popping off during the treatment. Our adhesive also contains nourishing ingredients Keratin and Biotin to help keep those lashes strengthened and protected. Lift your lash game to strong.